I usually spend my Saturday mornings on a basketball court indulging in excessive buckets. Last weekend's Saturday morning activities took place on a similar surface. Competition ensued, athletic feats were performed and midriffs were bare. 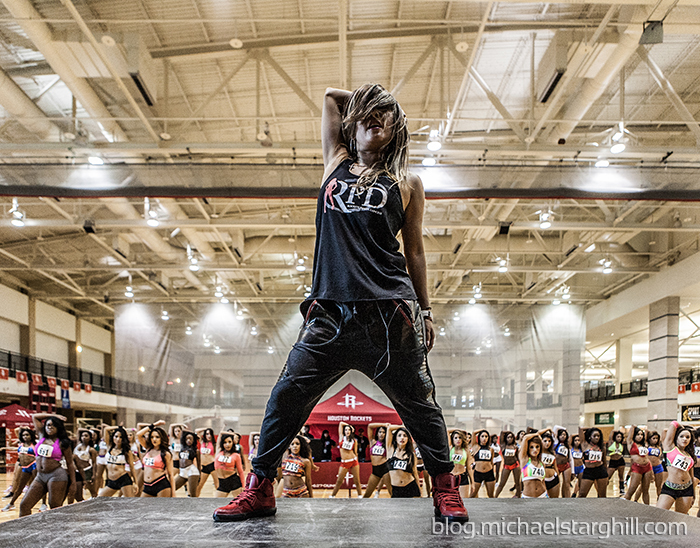 The Houston Rockets Power Dancers held their annual tryouts for the 2015-2016 basketball season at the University of Houston's Wellness Center. I don't know how many women actually showed up, but there were a lot. They began by warming up and stretching, learning and memorizing a routine taught by one of the RPD coaches and then separated into groups of 5 for further evaluation. I rolled out before the cuts were made but you can find out who will make the squad on July 2, 2015 at the House of Blues at 7pm!